2014's big-budget American-produced revamp of Godzilla was well-reviewed - especially compared to the last time Western filmmakers took a shot at the series - and (eventually) a decent-sized hit. But many fans of the classic kaiju felt shortchanged by director Gareth Edwards' downbeat "realistic" tone and the title character's limited screen time; while some fans in Godzilla's native Japan even found fault with the American version's "weightier" monster-design. But now, it looks like fans of classic-style Godzilla can rejoice: Toho has announced that they will begin production on a new Godzilla feature of their own, separate from the American series but aimed at a global release in 2016. 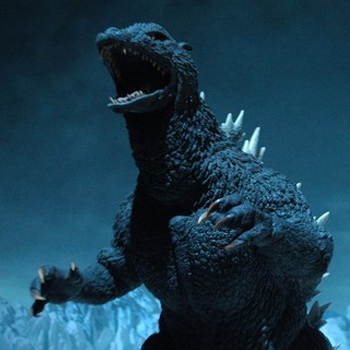 No further details have been set regarding budget, cast, crew or whether or not the film will continue Toho's tradition of eschewing CGI in favor of practical "suitmation" special-FX. A sequel to the American film was already announced for 2018, promising new versions of other classic kaiju characters like Rodan, Mothra and King Ghidorah. Toho's film will be the first classic-style Godzilla since Godzilla: Final Wars 12 years ago - no word on whether this installment, like that one, will feature the Japanese Godzilla easily slaughtering his most-recent American usurper.